Sri Lanka’s an amazing place. Like a mini Southern India where everything’s been mashed together into an island the same size as Ireland… and everyone’s sound. Genuinely – we’ve been there seven times and we have yet to meet one bad lad, not to mention the tea plantations, mountain ranges, rattling old trains, huge buddhas and golden beaches. We’ll be going up north to the little explored borderland between the southern Sinhalese and the northern Tamil people. 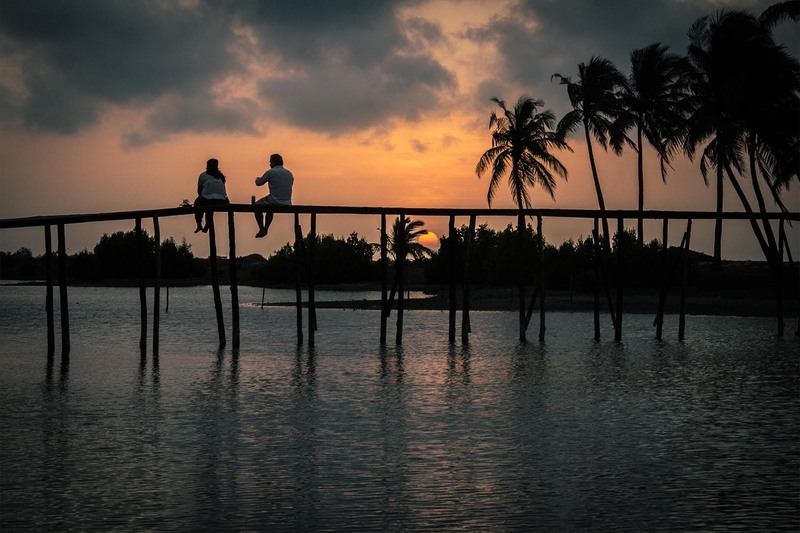 There are two windy seasons in Sri Lanka – one from June – October and one from December to March. We’re going in mid-september at the pinnacle of the windy season where we’ll have perfect, flat, shallow, windy conditions. 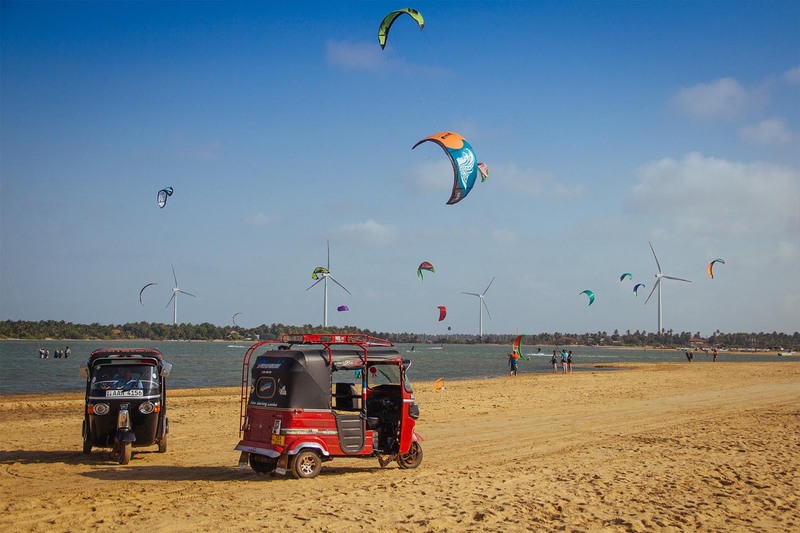 We’ll be eating healthy Sri Lankan fare, spinning around on Stand Up Paddleboards, doing yoga every morning and having a few drinks every evening… but most of all we’ll be spending all day every day kiting and improving in Kalpitiya’s perfect conditions. 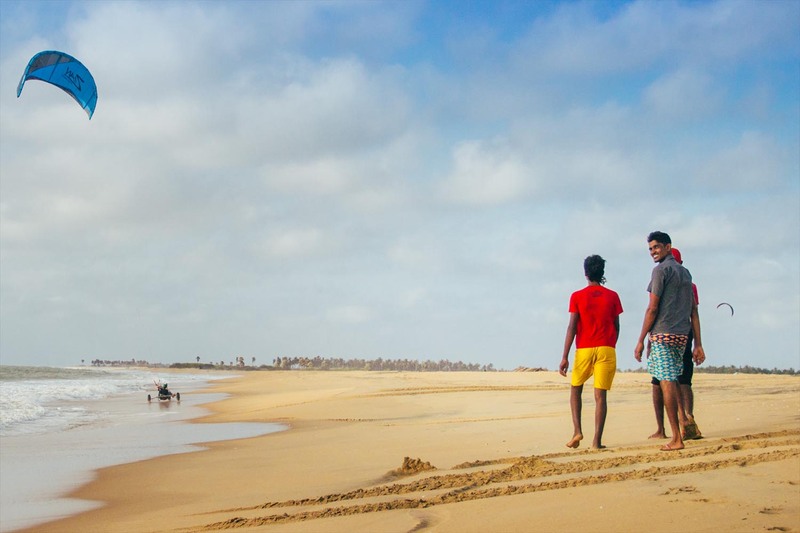 We’re going to a kite camp called ‘Kitesurfing Lanka’ which is located just down the road from the main lagoon where everyone kites. Our friends over there, Leo and Dil, have built an incredible place out of nothing over the course of the last few years, and we’ve been lucky to have been a small part of it. 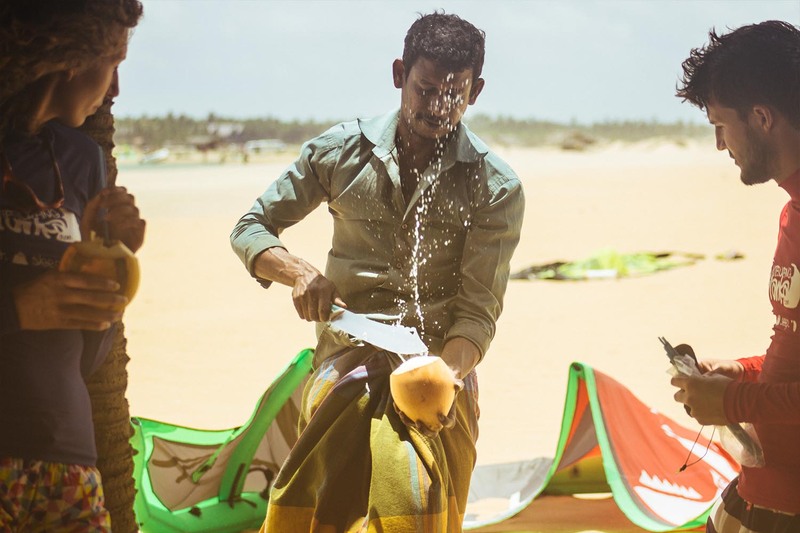 The best thing about the Sri Lanka trip is the overnight downwinder, and I for one can’t wait to get back up there – it’s one of the most amazing things I’ve ever done. The plan is to take a flotilla of boats up past the end of the Kalpitiya peninsula and out to the untouched islands at the very for north. 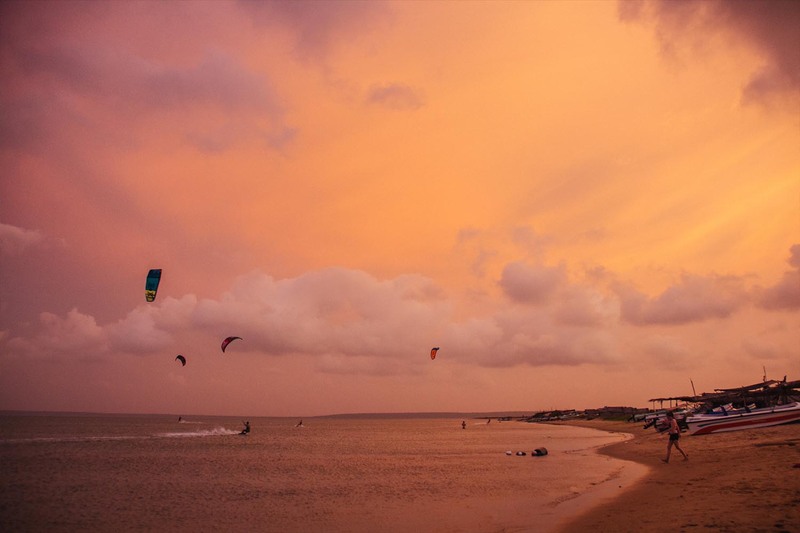 We’ll let all the kiters who are up for it off the boats a few kilometres upwind of the island where we’ll be staying – then we’ll downwind there in a big group. 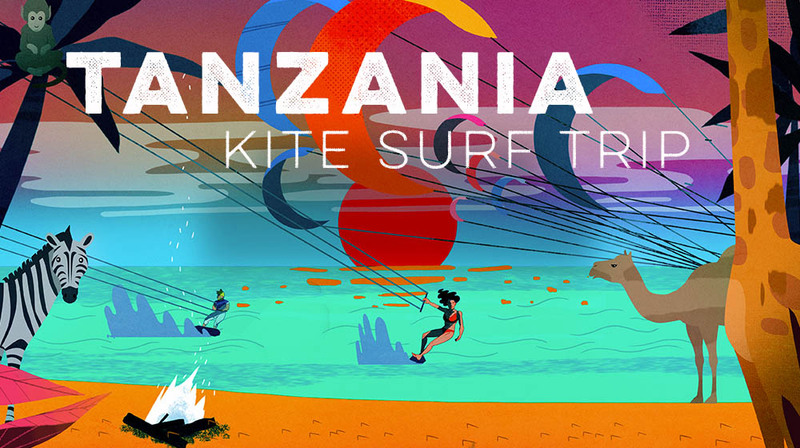 When we get there we’ll spend the the day kiting and teaching lessons in some of the flattest, most perfect conditions we’ve ever seen. Then there’ll be a bonfire, loads of food and a good few drinks – the next day we’ll rinse and repeat – not coming back until late the next evening. 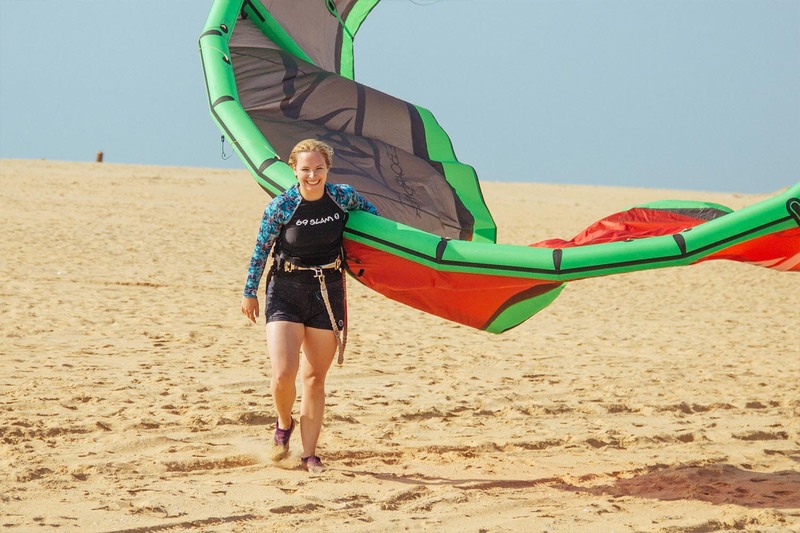 There’s a three tiered system in place depending on how much kitesurfing experience you’ve had in the past and whether you have your own equipment. Somebody constantly keeping an eye on you and the comfort of a rescue boat at all times. 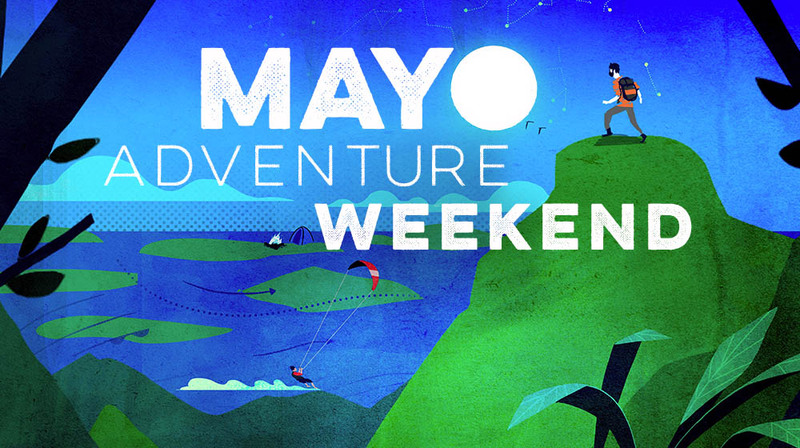 Flights this September are coming in at around €580 – €680 round trip, it’s not to be missed! Spent 10 days in Sri Lanka with the Bigstyle team and had an incredible holiday. Brilliant teaching and I am now hooked. Sun, fun, great way to meet people and learn a new and exhilarating sport. Thank you Kris and George! The way in which the BigStyle lads teach, makes you forget how much you’re learning, you’re having that much fun. To be honest, our first (ever) experience of kitesurfing was anything but hard. 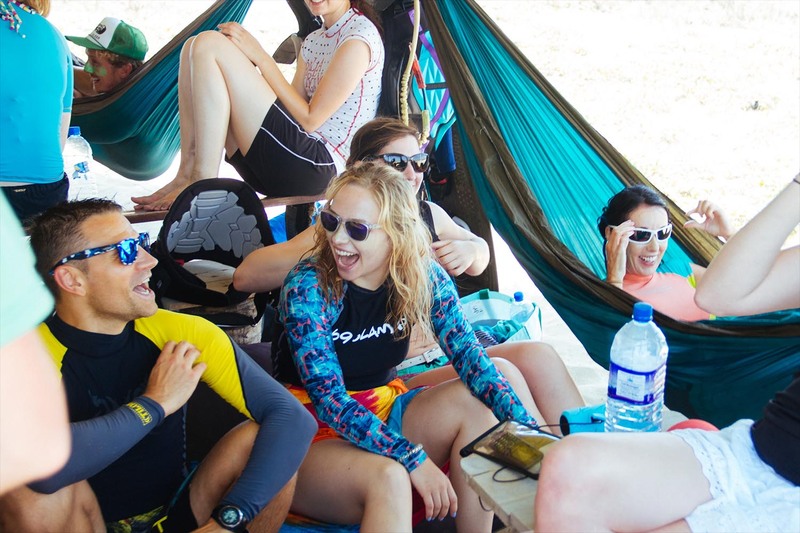 I think it’s the kind of trip that you’ll enjoy, regardless if you come alone or with five of your friends; the diverse nature of the trip caters for all, both young & old. 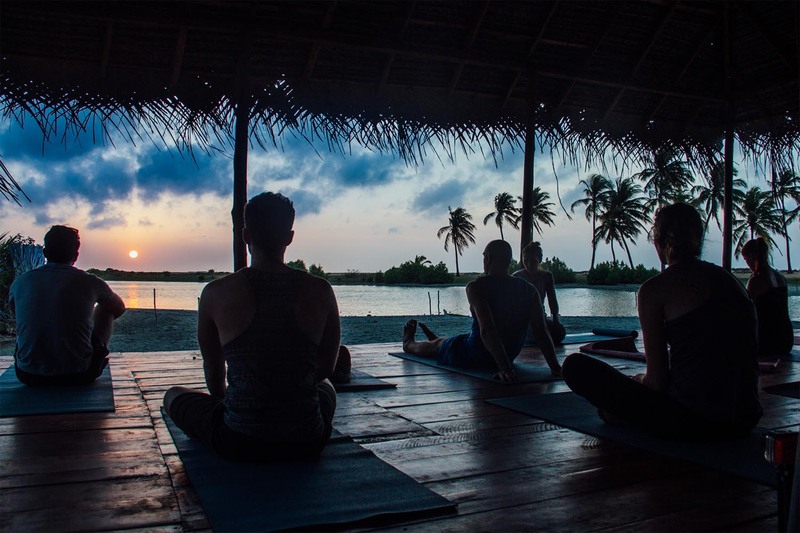 Then, after you sleep like a log from whatever time you hit they hay.. easy-going Stand Up Paddle boarding & peaceful yet incredibly stimulating yoga await in the morning, to get you started for another activity-filled day. If you’re even slightly interested, book it. It will exceed your expectations. Thanks so much again lads, looking forward to hopefully going on a trip with ye again in the future!